Aljo Mfg. 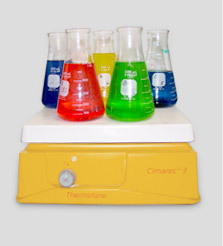 Co. has provided the dyestuffs community with top grade Acid, Basic, Direct, Disperse, Fibre-Reactive, and Vat Dyes for over 50 years. 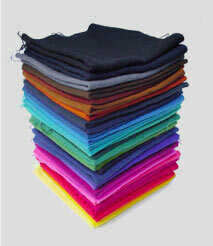 We offer a broad selection of quantites and colors, as well as the chemicals and agents which aid the dyeing process. No order is too small or too big, so stop by our convenient downtown Manhattan location, or call or fax your order today. 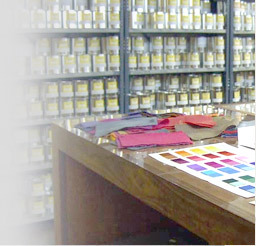 For dyeing silk, wool and nylon, Hand Painting and printing on silk, and printing on nylon. For hand painting on silk, and Dyeing Acrylic fiber. For dyeing cotton and viscose rayon. For dyeing acetate, nylon, polyester, acrylic and synthetic fiber blends. For dyeing cotton, rayon, silk and wool, and direct application on tie-dye, hand painting and printing. For dyeing cotton goods in a vat dye system. Fast tie-dye, garment dyeing, batik, shibori and discharge printing process. Aljo Mfg. Co. accepts VISA, MASTERCARD, and AMERICAN EXPRESS. Orders placed by institutions - Theater and Dance companies, learning institutions, etc. may be placed by Purchase Order. Business accounts may be opened by submitting credit application. Same day shipment of most orders placed before 4:00 PM EST.